Summer has heated up with record temperatures so far. Plants like tomatoes and peppers really thrive in the heat as long as there is sufficient rainfall/watering. The greens and flowers are not so thrilled. 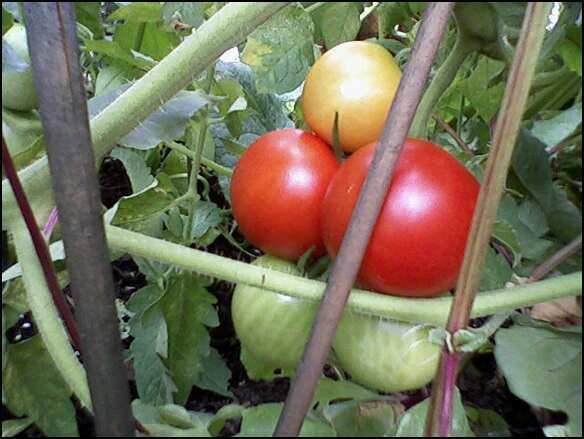 Below is a shot of the 4th of July Tomatoes (from Burpee). They are compact and ripen quickly. They are pretty tasty too - we've enjoyed them with the basil as a topping for pasta. The pear tree has gone completely crazy with pears this year. Guess the timing with the bees and the frost ending was in sync. The poor apricot put out a few delicious fruits but a cold snap in March ended most of the blossoms. 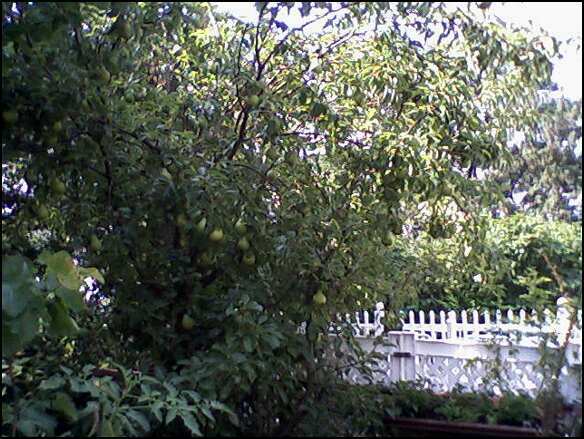 The pear tree is pictured below. 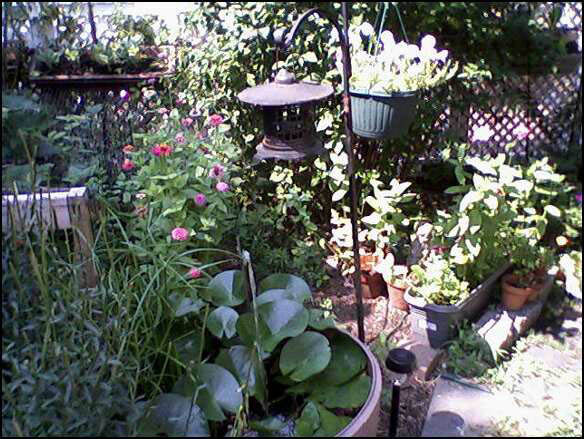 Here is a view of the garden that includes the tub garden with water lillies surrounded by zinnias and some pansies.